So I’m a little bummed that I put together this cool fashion OOTD, OOTN, beauty look for a magazine that was going to be in print but got cut instead. I only found out the first week of Sept so it definitely did not help with pitching to another outlet. In the spirit of NYFW, I wanted to post it here as I really liked the curated outfits. I sourced up-in-coming/small businesses with great price points. My friend Nicky Styles illustrated the pieces in true Project Runway form as well. As the temperature dips and Starbucks reintroduces its traditional pumpkin spice latte, try and resist the temptation to put away the colourful clothing and go into a mild hibernation. 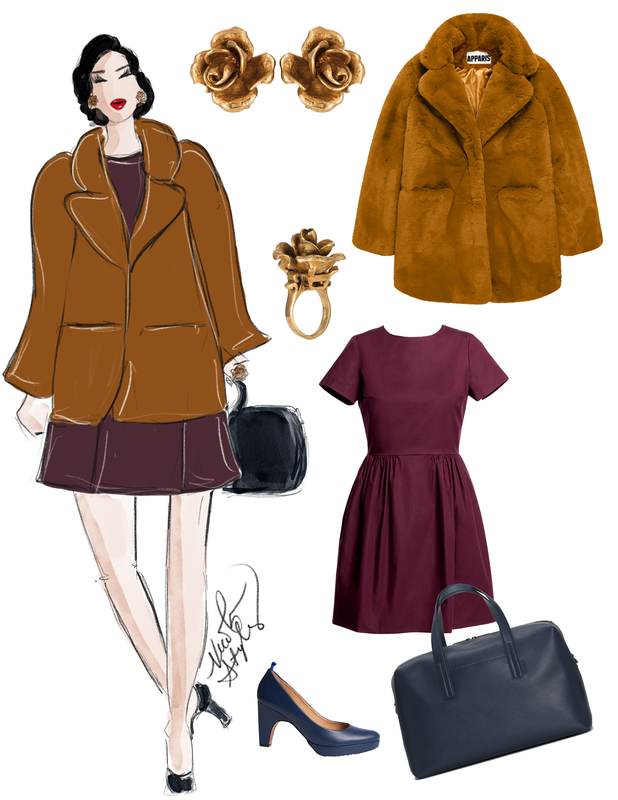 Fall is a time for change and the shades of the season are decadent: gold, auburns, burgundy, and navy. Textures like faux fur, cashmere and jacquard bring depth to any outfit. By day, glow with gold and at night, shine with sequins and rhinestones. For the Outfit of the Day, a decadent oxblood Rallier dress in a timeless silhouette is paired with an APPARIS faux fur coat in a classic cut. The AWAY weekend bag has a built-in laptop sleeve and hidden umbrella that is perfect for the commute to work. The matching dr. Liza heels have a 0.75-inch shock-absorbing EVA platform for walking those lengthy city blocks with ease. A matching CINER set of clip-ons and a ring takes the guesswork out of accessorizing. For the Outfit of the Night, think understated glamour. 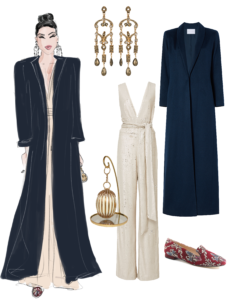 While the Michelle Waugh long cashmere coat paired with the French Sole NY jacquard smoking slippers may give you bedtime vibes, the eye-catching MESTIZA NY cream sequin jumpsuit will make you shimmer in the moonlight. Play off the cream with the majestic pewter chandelier earrings and the conversation starter miniaudiere from CINER. Stay gold with this seasons makeup. 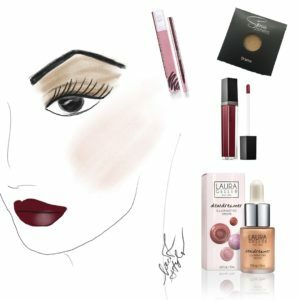 Shades ranging from antique (Sheree Cosmetics eye shadow) to gilded honey (Laura Geller DewDreamer illuminating drops for checks and face). A strong lip takes center stage with this all-day wearable velvet liquid lip Bordeaux color from STELLAR*. Lastly, tame the brows with the Christie Brinkley Authentic Beauty Take a Bow pencil allowing you to color, shape and add density and definition to your brows with a transfer-resistant formula.